This the office of Duane, who used to be Margo's boss. Inside was his desk with your standard PC, internally cooled with a fan. Duane had a co-worker who would come in, sit in the chair in front of Duane's desk and complain that the little fan was blowing on him. The co-worker would joke about getting some little pink curtains to put over the fan. Duane was not a fan of the color pink. 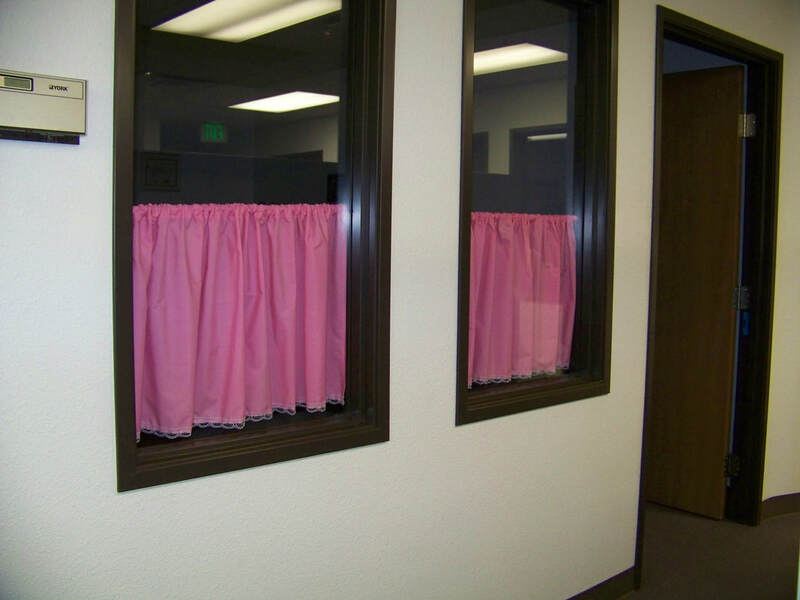 Well, with Duane's birthday coming up, Margo asked Duane's boss, if she could make him some pink curtains, for his office. He thought this would as funny as Margo did. It took her about as much time to make these, as it did to go shopping for the materials. Duane was not amused, and they did not stay up long. They currently reside in some corner of Margo's sewing room.